Dec. 19, 2014, 2 p.m.
Journalist’s Resource sifts through the academic journals so you don’t have to. 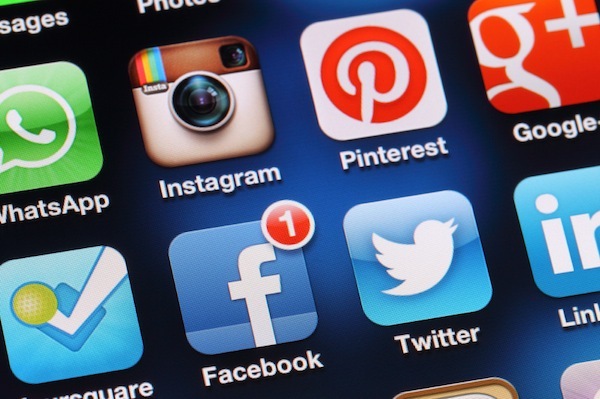 Here are 12 of the studies about social and digital media they found most interesting in 2014. By John Wihbey @wihbey Dec. 19, 2014, 2 p.m. This column has again reviewed hundreds of papers over the past year and tried to select a diverse mix of research that speaks to important issues. Here are a dozen papers from 2014 that we feel may be worth your time. We asked Amy Schmitz Weiss, associate professor in the School of Journalism & Media Studies at San Diego State University, to help judge the “winners” this year. Of course, we admit it’s not a very scientific contest: How does one compare pioneering work on Syrian Twitter to ethnographic explorations of newsroom technology? But we tried anyway. Happy holidays. “The battle for ‘Trayvon Martin’: Mapping a media controversy online and off-line”: From the MIT Center for Civic Media, published in First Monday. By Erhardt Graeff, Matt Stempeck, and Ethan Zuckerman. The Lab published a wonderful explainer on this study — worth checking out if you missed it. The study itself represents an ambitious effort to map public discourse around a national news topic — its ebb and flow, its catalysts, magnifiers and gatekeepers alike. How exactly do stories move across the wide array of information channels we use? The researchers conclude: “Our analysis finds that gatekeeping power is still deeply rooted in broadcast media…Without the initial coverage on newswires and television, it is unclear that online communities would have known about the Trayvon Martin case and been able to mobilize around it.” Effective public relations by parties involved saved the story from vanishing initially, and social media communities took their cues from this activism. Graeff, Stempeck, and Zuckerman contribute important insights into the networked ecosystem of communication and news. The paper is a direct follow-on to an earlier paper by Internet theorist Yochai Benkler and Co., which suggested new network dynamics at work around the Stop Online Piracy Act (SOPA/PIPA) and related online activism. Both papers leverage the underappreciated Media Cloud project, which is finally getting its due. Graeff, Stempeck, and Zuckerman basically show a kind of counter-example to the Benkler findings. If we are to answer the ultimate digital media question — “How much has the Web truly changed communication?” — this type of data-driven, comprehensive research is vital. “The Ethics of Web Analytics: Implications of using audience metrics in news construction”: From Nanyang Technological University, Singapore, and Missouri School of Journalism, published in Digital Journalism. By Edson C. Tandoc Jr. and Ryan J. Thomas. “Filter Bubbles, Echo Chambers, and Online News Consumption”: From Carnegie Mellon University, Stanford and Microsoft Research. By Seth Flaxman, Sharad Goel, and Justin M. Rao. “Twilight or New Dawn of Journalism? Evidence from the changing news ecosystem”: From the Reuters Institute, University of Oxford, published in Digital Journalism. By Robert G. Picard. “Can We ‘Snowfall’ This? Digital longform and the race for the tablet market”: From the University of Iowa, published in Digital Journalism. By David Dowling and Travis Vogan. In a thoughtful and deep examination of a new genre being born, Dowling and Vogan look at three case studies in innovative story treatment — The New York Times’ “Snow Fall,” ESPN’s “Out in the Great Alone”, and Sports Illustrated’s “Lost Soul” — to see how each outlet leveraged new opportunities in digital long-form storytelling. “Mapping Twitter Topic Networks: From Polarized Crowds to Community Clusters”: From the Pew Research Internet Project. By Marc A. Smith, Lee Rainie, Ben Shneiderman (University of Maryland) and Itai Himelboim (University of Georgia). This important new study, done in collaboration with academic researchers Shneiderman and Himelboim, goes a long way toward making social network analysis and theory intelligible to the general public. In a clean, straightforward way, it lays out the six basic “archetypes” of Twitter conversation, giving precise language to phenomena many of us observe at only an intuitive level (and yet which researchers have observed for some time). “Algorithmic Accountability Reporting: On the Investigation of Black Boxes”: From the Tow Center for Digital Journalism at Columbia Journalism School. By Nicholas Diakopoulos, University of Maryland. Early on in this path-breaking report, Diakopoulos sums up in a simple, declarative sentence one of the most important emerging issues for democracy as it relates to the digital world: “What we generally lack as a public is clarity about how algorithms exercise their power over us.” He looks at issues of establishing greater transparency and “reverse engineering” algorithms to help us better understand their biases – from autocompletion on Google and Bing to targeted political email to online pricing schemes that differentiate among users. Because algorithms are often proprietary, there are legal challenges to discovering and replicating them. And there are myriad technical challenges that the report digs into. Diakopoulos calls for greater capacity-building within journalism to explore these new problems and for new norms to be produced. “The challenge to standardizing what should be disclosed about algorithms may come down to building consensus about what factors or metrics are both significant and acceptable,” he writes. “Reciprocal Journalism: A Concept of Mutual Exchange between Journalists and Audiences”: Study from the University of Minnesota, the University of Utah, and the University of Texas at Austin, published in Journalism Practice. By Seth C. Lewis, Avery E. Holton, and Mark Coddington. This study sketches out a new theory that is something like “audience engagement 3.0,” or “participation plus.” The specific coinage here, “reciprocal journalism,” seeks to advance the endless discussion among journalism circles about community engagement and go even a step further. Despite its more democratic feel, participatory journalism as we know it is still mostly one-way: serving the news organization’s needs more so than the audience’s. Lewis, Holton, and Coddington focus on how Twitter, Facebook, and other social media can facilitate more reciprocal forms of journalism, whether directly (e.g., journalists exchanging tweets with followers one-to-one), indirectly (e.g., journalists returning favors not to particular individuals but to their communities as a whole, by encouraging discussion around certain hashtags), or sustained (e.g., journalists creating Facebook community pages where audiences can expect longer-lasting exchanges of goodwill among journalists and audiences). “Data Journalism in the United States: Beyond the ‘Usual Suspects'”: From Pace University and College of Staten Island (CUNY), published in Journalism Studies. By Katherine Fink and C. W. Anderson. “Crowd-Funded Journalism”: From George Washington University and the University of Southern California, published in Journal of Computer-Mediated Communication. By Lian Jian and Nikki Usher. The researchers examine a database of story projects crowdfunded through Spot.Us, a nonprofit news platform that allows for ideas to be funded by micropayments. Usher and Jian set out to establish patterns of funding preferences and how these affected the stories produced. The data they examined included the 234 pitches approved by editors, 102 stories produced, and 10,227 donations, as well as both reporter data about their qualifications and internal surveys with the donors. “Shares, Pins, and Tweets: News Readership From Daily Papers to Social Media”: From Duke University, published in Journalism Studies. By Marco Toledo Bastos. Drawing two weeks of data from The New York Times’ and The Guardian’s APIs, as well as the APIs of various social media platforms, Bastos set out to answer an important question: How much overlap is there between what editors choose to focus on and what social media users grab on to? This revitalizes an old debate over editorial judgment, gatekeeping, and norms of “newsworthiness.” The author looks about 16,000 articles on the news sites from late 2012; he also analyzes article links circulated on Facebook, Twitter, Pinterest, Google+, Delicious, and StumbleUpon. Some raw data findings relating to links posted on social media prove interesting: Times articles earned an average of 39 retweets on Twitter and 445 shares on Facebook, while Guardian articles saw an average of 50 retweets and 190 Facebook shares. Bastos concludes: “The results show that social media users express a preference for a subset of content and information that is at odds with the decisions of newspaper editors regarding which topic to emphasize.” Social media users tend to favor hard news over soft news, especially on Twitter. Only a quarter of the Times sports articles studied, for example, ever showed up on Twitter or Facebook. Likewise, news editors’ preferences for more articles about the economy do not track with social media user’s apparent preferences. Further, Bastos says, “although most news sections are uniformly and symmetrically distributed across newspapers and social networking sites, we found remarkable differences on the number of news items about arts, science, technology, and opinion pieces, which are on average more frequent on social networking sites than on newspapers.” The variation may be partly explained by the more urban, educated and youthful characteristics of social media users, the study notes. “Coproduction or cohabitation: Are anonymous online comments on newspaper websites shaping content?”: From Western Washington University, published in New Media & Society. By Carol E. Nielsen. POSTED Dec. 19, 2014, 2 p.m.
Wihbey, John. "Complicating the network: The year in social media research." Nieman Journalism Lab. Nieman Foundation for Journalism at Harvard, 19 Dec. 2014. Web. 18 Apr. 2019. Wihbey, John. 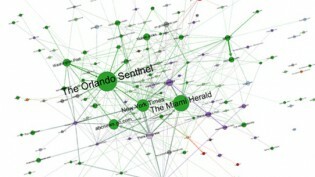 "Complicating the network: The year in social media research." Nieman Journalism Lab. Last modified December 19, 2014. Accessed April 18, 2019. https://www.niemanlab.org/2014/12/complicating-the-network-the-year-in-social-media-research/.